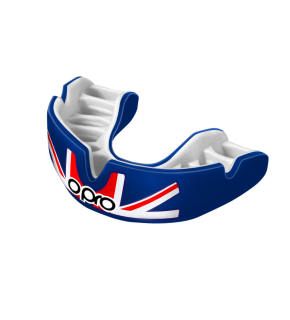 OPRO rugby mouthguards are used by professional sportspeople, school clubs and more. They’re the official mouthguards of England Rugby, New Zealand Rugby, USA Rugby and Australia's Wallabies. Whether you’re playing Union or League, our rugby gum shields are ideal. The Boil and Bite style means you can get a secure fit for your teeth, and we have a range of colours and protection levels available. Buy your OPRO mouthguard today. “I’ve worn OPRO mouthguards from a young age and throughout my career with England. I highly recommend their mouthguards - my teeth have been saved countless times because of them! "OPRO is one of the most exciting partners to come on-board with AYF, providing protection to every young athlete whilst allowing them to play without distraction or hindrance." "Having a top class mouthguard is essential when playing rugby whether it’s at school or in the premiership. I always used to wear OPRO. Knowing I had a fantastic fitting, comfortable and top quality mouthguard allowed me to focus on what I did best"
"I was hugely impressed with how easy the mouthguard was to mould and to get used to. They are mandatory in ladies football now and I never liked wearing gumshields but now with this brand and make, they’re incredibly easy to use. I hardly notice it during games and training now! Also, having such an array of choice with how you want your gumshields designed is a huge bonus. I couldn’t recommend these enough to sports players." "I have been using OPRO mouthguards for the last 4 years now and it is by far the best quality gumshield I’ve had. It’s a nice firm fit and the protection and comfort I get from it is second to none. I would recommend OPRO to any professional sportsperson."